Well it is certainly busy here at the minute, things have hardly calmed down since The Wainwrights in Colour Book was launched back in May. The intervening five months have seen me fulfilling all the orders for the book both from private individuals as well as multiple orders from the twenty or more independent bookshops which I now supply. Most exciting perhaps is the fact that the book has been nominated and shortlisted for the Outdoor Book of the Year Award 2107. This is a real honour for me- just a normal fellwalker who has come up with a unique idea featuring the Wainwright 214 fells. As you know by now, there is no big publishing house behind me, no big PR company to bang my drum. Just me. It looks like the ten years of hard work are not only being rewarded by the continuing sales but now also being recognised further afield. To win would be wonderful but I can’t expect too much, there are some big names in the shortlist. 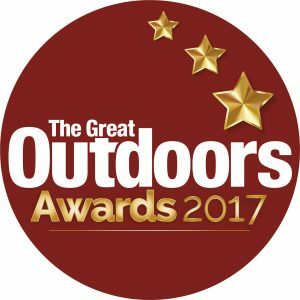 This award is won by public vote- run by one of the biggest and highly respected outdoor magazines in the UK. Voting has now closed but thank you to all of you who took time to vote. I would also like to thank all of you who have been kind enough to post a review of the book on the website here. The reviews have been wonderful. This is not for an ego boost for me but it does keep The Wainwrights in Colour relevant to the search engines especially as I don’t sell through Amazon and therefore can’t get reviews on there. If you haven’t done so already, please do take a moment or two to post a review, it doesn’t have to be long-winded, a few simple words are enough. Thank you. In the meantime, I am continuing to ship out book orders and give the talks which have been very well received. Once things calm down I will be back posting on here on a more regular basis. Thanks for taking time to read the post.